Who doesn’t want a flawless, radiant complexion?! I know I certainly do! 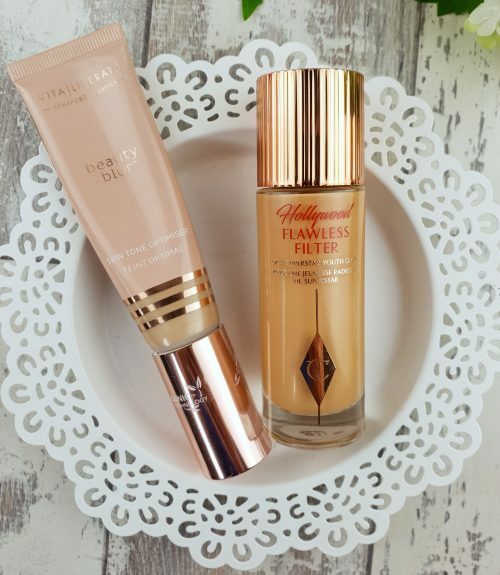 So ,when I first seen both Charlotte Tilbury’s Flawless Filter and Vita Liberata’s Beauty Blur I was all over them. I did ask on my insta stories if you wanted to see separate reviews on these products or comparisons but i decided to do both. I’ll review the two separately and then do a comparison towards the end. See, I’m good like that!! 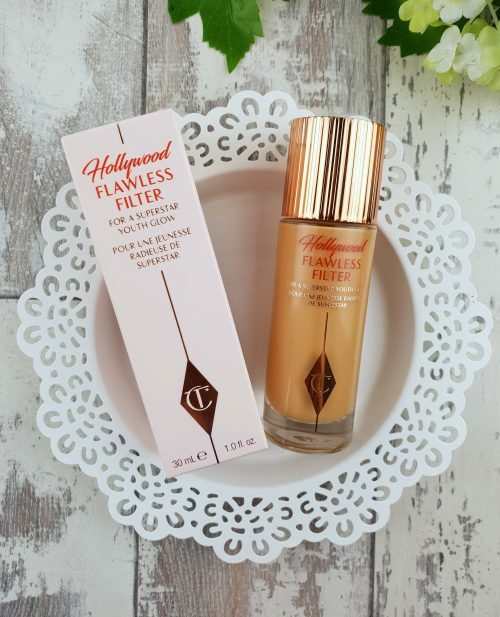 I’ll start with Charlotte Tilbury Flawless Filter €40 for 30ml. The claims on this product are pretty massive so let’s break them down. 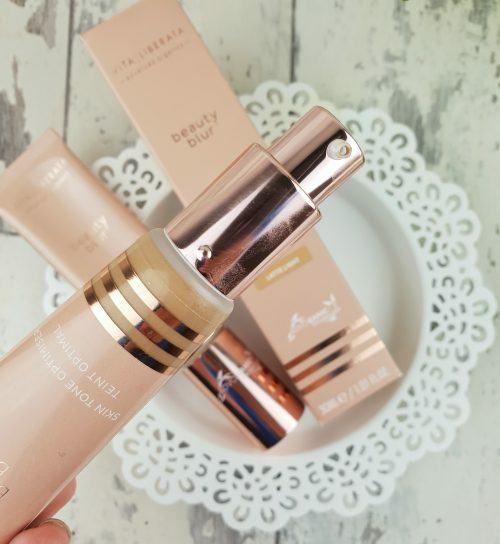 Charlotte Tilbury (let’s call her CT for short) promises that this product will give the ultimate high gloss, high glow, celebrity skin finish that looks good both on and off screen. Poreless, lightweight and creamy finish that leaves the skin feeling moisturised. The soft focus technology will blur fine lines and imperfections. Almost sounds too good to be true?! This product can be worn in 4 ways. Firstly, on its own for every day use, under foundation, mixed with foundation or on top of foundation as a cream highlight. It comes in 7 shades. I have to say for the type of product that it is I think the shade range is quite impressive! So what do I think? Well, let’s start with the packaging. All the CT packaging is pretty remarkable. The rose gold detail just melts me every time. However, the doe foot applicator isn’t my favourite. It’s unsanitary and it doesn’t dispense enough product for me. I can get over this of course, simply because the bottle is too damn pretty but it’s really not a practical applicator. The finish is stunning. I wear shade 5. I did want shade 4 but when I went to swatch it I just felt it was way too grey for my skin. I’ve an insta highlight saved of me using this on camera if you want to see the shade in action. If you wear fake tan I would suggest shade 5 will be suitable for you. But if you have skin like mine and are not wearing tan I would avoid shade 4 and look at 3 instead. I just really didn’t like shade 4, even though it’s so popular. In general though the difference between shades is a bit odd. 3 is light enough, then 4 is similar except more grey and there is a massive jump then between 4 and 5. CT I think you need a shade 4.5 as although 5 is my match I still feel it can be a tad orange at times. Let’s hope! I definitely get some coverage from Shade 5. It doesn’t give the coverage of a foundation but it definitely does hide some of my imperfections. 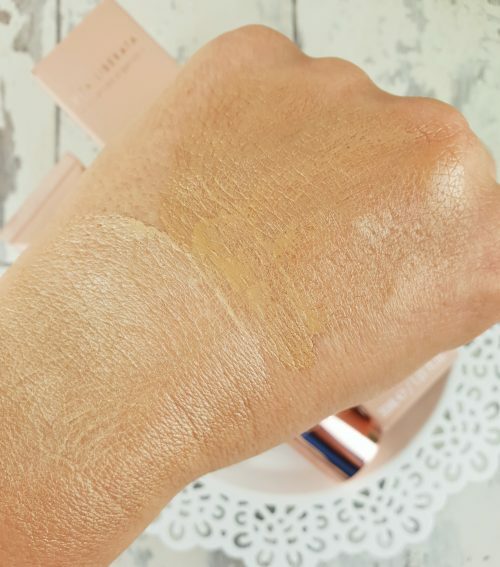 I have heard people saying that it’s only the darker shades that give coverage so if you have tried a lighter shade let me know below if you get any coverage from it. Overall, I definitely feel like my skin looks more perfected when wearing this. It is not enough for me for every day wear but it would be perfect for my ‘no makeup’ days or for holidays. I definitely see a difference in my pore size and overall evenness of my skin when I apply this and I really enjoy the fact that I get extra coverage from any foundation I apply on top of this. You can buy Charlotte Tilbury in Brown Thomas and direct from their website. 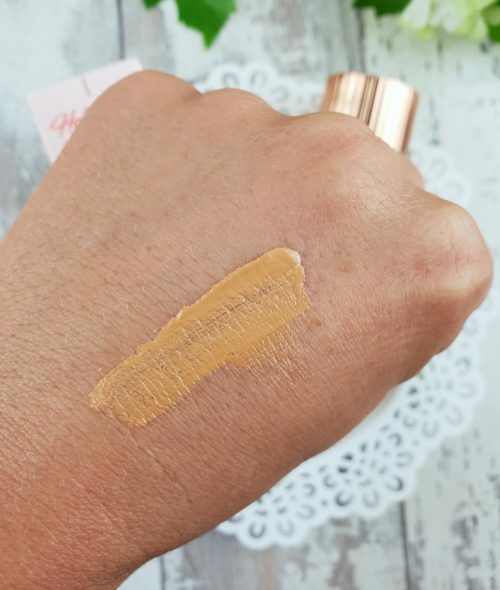 Similarly to the Charlotte Tilbury Flawless Filter this can be used in all the same ways. However, I don’t feel like I get as much coverage or perfected skin with this. I’ll explain a little later. The packaging is amazing on this product. The bottle still gives those rose gold vibes but this time in a very convenient little pump bottle. Thumbs up on the packaging VL. I use two shades in this. 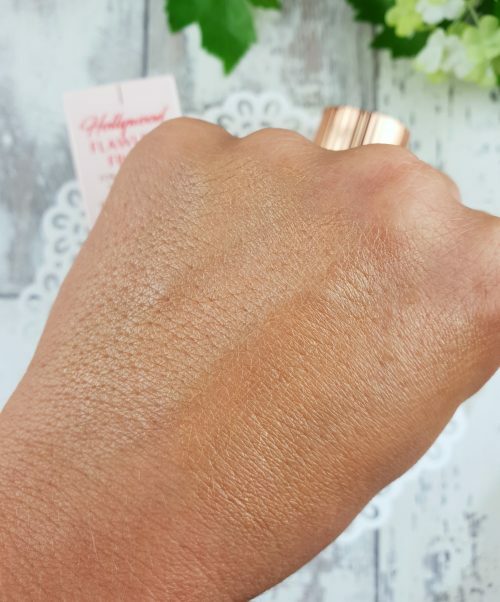 Latte Light for non tan or lighter tan days and Latte for the days when I want a little more depth to my skin, or have a tan. There are 5 shades in this ranging from a pretty pale one to a deep one. 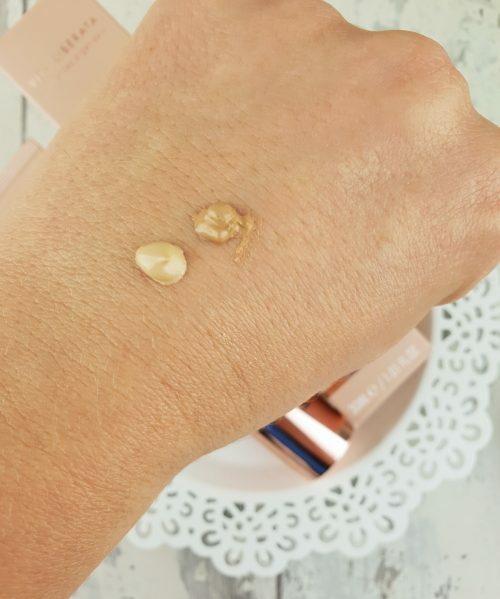 Because these are not used as foundations they don’t need to be an exact match for your skin. I think the shade and tones are pretty versatile so I do feel like lots of skin colours and tones would have a choice here also. I really love the glow and fresh look this gives to the skin. As I mentioned it doesn’t give much coverage or hide my pores as much as CT but it does work great as a radiance primer to add something extra to the skin. It’s also great mixed with foundation, it will transform a matte foundation into a more dewy version. 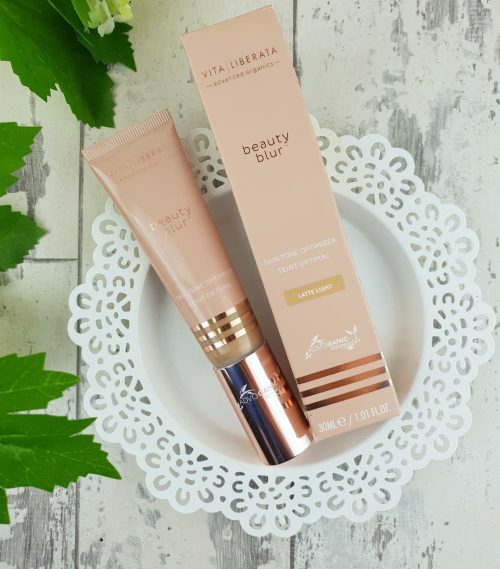 If you want to check out my review of the Vita Liberata Body Blur you can check it out here. So how do they compare, let’s strip it down. Although I love the look of the CT packaging, VL wins hands down. It’s way more convenient, hygienic and it’s just as pretty as the CT equivialent. Coverage wise I do think CT comes out on top here. As I said, maybe it’s just the darker shades but I know shade 5 definitely gives more coverage than the two VL shades I have. 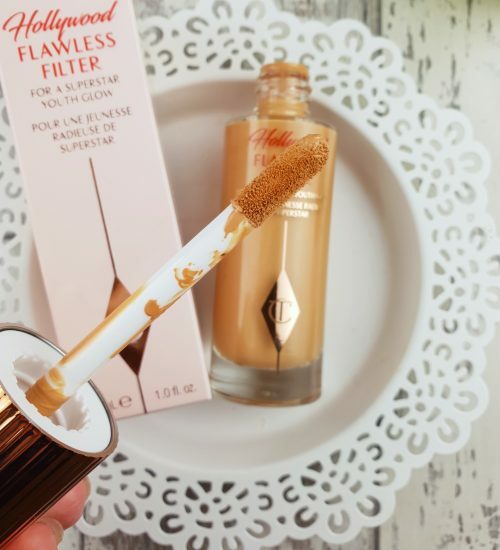 If you are looking for a small amount of extra coverage I would recommend the CT Flawless Filter. When it comes to skin perfection I do still think CT wins. It seems to cover pores a little more than the VL version, probably because it has that bit more coverage. To grab a glow and for highlighting I would say VL is the best option here. I said it above already but I love the dewiness the Beauty Blur creates. It’s stunning and fab under foundation. The shade range is pretty decent in both to be honest. Both products will suit most skin types. However, if you are very oily I would avoid both. Creating extra glow on already oily skin isn’t cute! Ya get me? The price point is pretty much on par except for when you find it on sale or with a discount code. The VL one is well worth getting while it’s on sale!! So, which one is your favourite? It’s a tough one. But I have to say, I reach for the VL one for every day use. I save the CT one for special ocassions and for when I want a bit of extra coverage. It really does depend on what you are looking for from the product as both of them are equally as brilliant. The choice is yours. Which one do you prefer? Have you tried any of them yet or are you planning to soon? Let me know your thoughts below. I’m curious what everyone else thinks of these products. I did receive the VL as a sample for consideration of review but this has in no way made any difference to my honesty on this product! OBVS! !